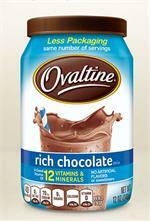 OVALTINE® is a household name that kids (and adults!) love. 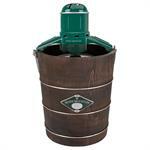 Classic chocolate malt flavor for all sorts of shakes, drinks, and baking recipes. Ice Cream Spade, will not freeze! 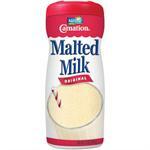 Carnation Malted Milk - perfect powdered malted milk to add to milkshakes, fruit smoothies, and many baking recipes. 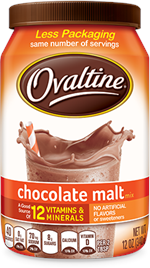 Beyond milk, rich chocolate Ovaltine makes a great addition to smoothies, baked goods or sprinkled over ice cream for a chocolatey dessert! 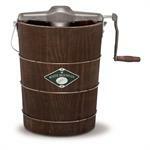 Made in classic American style, this ice cream bucket is handcrafted of sturdy New England white pine by the 150 year old White Mountain Company. 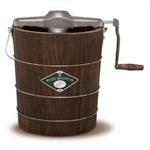 This ice cream maker turns out ultrasmooth old-fashioned ice cream or frozen yogurt in 20 to 40 minutes.